Today we stopped by the model home center to get a quote from another log home builder: Southland Log Homes. They have a model home (currently under construction) and sales office near Nashville (in LaVergne). The sales rep was really nice and really helpful. 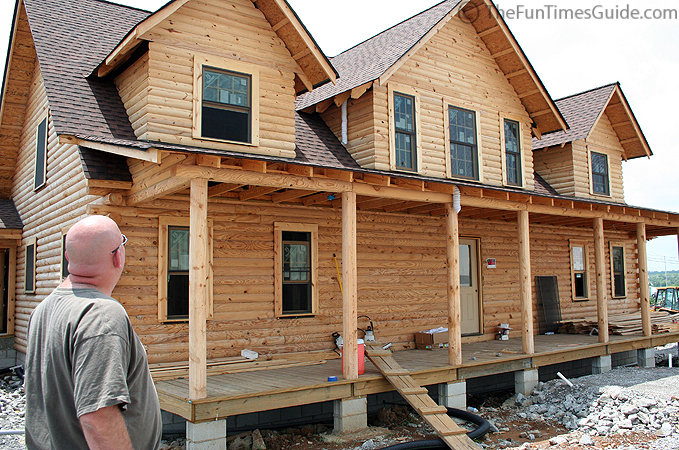 What makes Southland Log Homes different? A couple days ago, we met with a rep from Honest Abe Log Homes… I can’t wait to hear back from both of the log home companies regarding their actual quotes. I’m eager to compare the two — in terms of what they offer, their bottom line, and their unique differences.